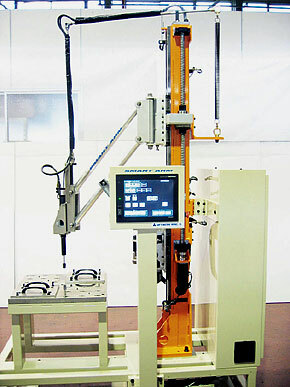 Sanyo Machine Works released its automatic fastening system for automatic assembly lines to the market in 1976, much earlier than its competitors. From a proven track record and over 35 years in the industry, the SGNR Nutrunners have evolved into a new high-quality industrial tool with high-durability and accuracy. The SGNR series integrates a high-speed CPU for fast data processing and transmission speed. By controlling the high speed and high performance servo motor, it can be used by various manufacturing systems. These handheld nutrunners have been based upon the accumulated experience from producing electric nutrunners since 1976. Copyright (C) Sanyo Machine Works, Ltd. 2019 All Rights Reserved.